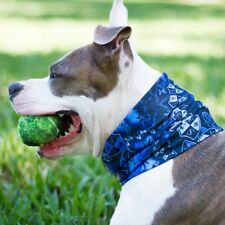 Dog Shield™ tubular bandanas can be worn MULTIPLE WAYS—soft collar, sweater, hood, etc! You’ll be amazed by how effectively it reduces your dog’s skin temperature, as well as acts as a barrier against ticks & fleas—no chemicals. Wicks Away Moisture & Retains and Maintains Body Heat! Waterproof Dog Rain Jacket Retains Warmth and Protects!